Would you like to study Medicine in English in Italy? Prepare for the IMAT entry test in order to access the Faculty of Medicine in Bari, Milan, Pavia, Rome La Sapienza, Rome Tor Vergata and Seconda Università of Naples. Scuola Leonardo da Vinci schools in Florence, Milan and Rome organize a specific preparation course for those students willing to sit for The International Medical Admissions Test which will take place on April 29th 2014. Our preparation course will guide students through the subjects contained in the test, analyzing the key topics such as Critical Thinking and Problem Solving, Biology, Chemistry, Physics & Mathematics. The course will start on Monday, March 17th and will last for 3 weeks, with a total of. 105 lessons (60 minutes each). The enrolment deadline is set for Friday, February 21st. Ask for more information or Enroll now! 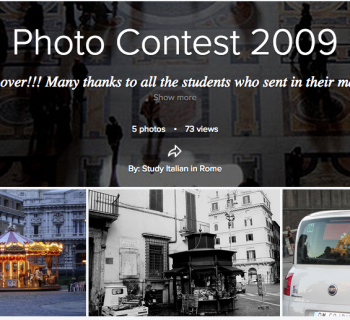 The best picture contest is over!